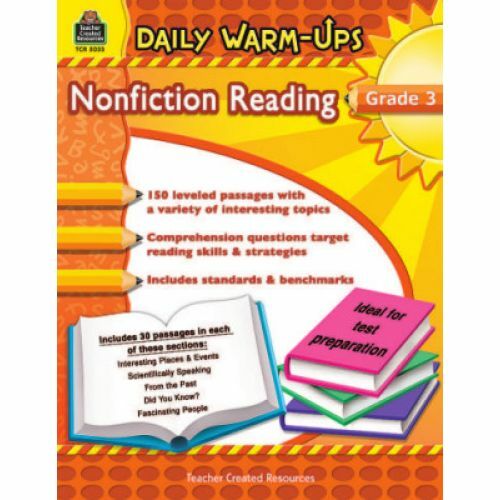 Start with 150 nonfiction passages about people, places and events related to science, sports, history and social studies. 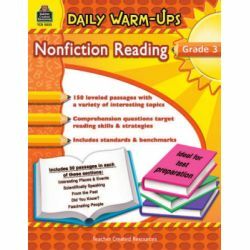 Follow them with multiple-choice questions designed to reinforce reading comprehension skills ranging from basic recall to critical thinking. With daily practice, students will become confident readers who can demonstrate their comprehension skills on standardized tests. 176 pages.